This is a multi-purpose table designed for indoor or outdoor use, suitable for rooms and functions: suitable for study, bedroom, living room, kitchen, children's room, office. Can be used as a computer desk, study table, game table, picnic table, secretary table and so on. This children's folding table is suitable for young children.Children can eat, read, create and play at their own table. When entertaining large gatherings, children will have their own dinner place. 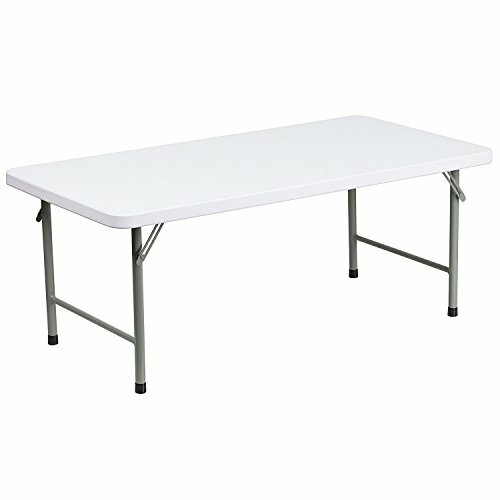 This table can be used in hospitality settings to designate a special seating area for children in action. The durable top is low maintenance and easy to clean.The legs are folded under the table to make storage easier and portable. Whether at home or at the event venue, children will appreciate their own tables in their children of this age.